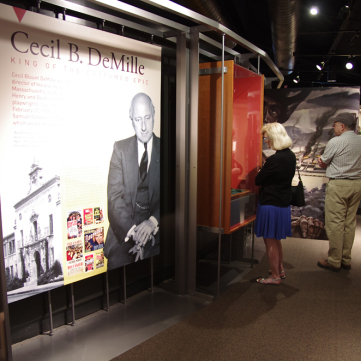 The year 2013 marked the 250th anniversary of Pontiac’s Rebellion and the siege of Pittsburgh. 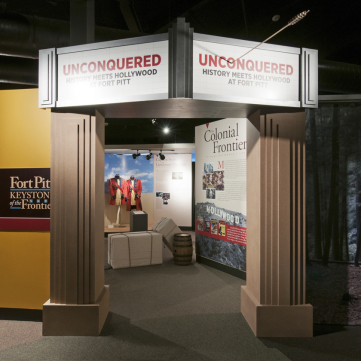 To commemorate the anniversary, the Fort Pitt Museum presented Unconquered: History Meets Hollywood at Fort Pitt, an exhibition sponsored by the Laurel Foundation that explored the historical events of the siege as well as its Hollywood depiction in the star-studded 1947 Cecil B. DeMille film. 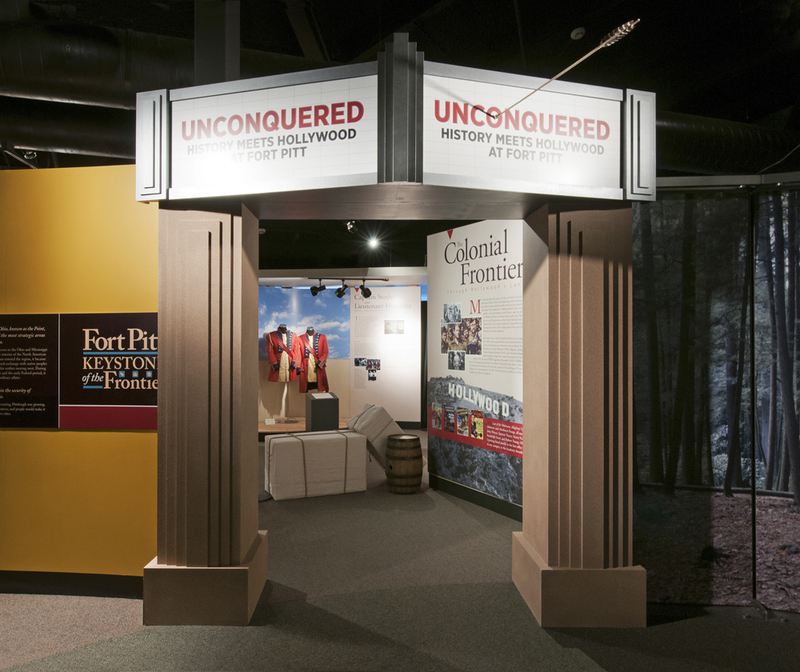 Using rarely seen original movie props, photographs, and costumes alongside authentic 18th century artifacts and documents, the Unconquered exhibit examined this turning point in American history and encouraged visitors to compare and contrast the historical events with the Hollywood depiction. 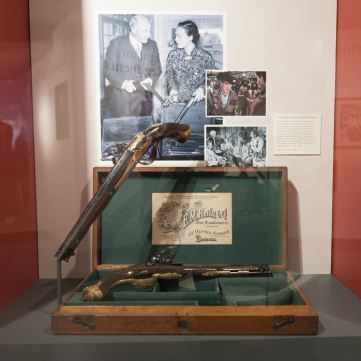 In addition to original movie props and costumes, the Unconquered exhibit also featured original materials from Pontiac’s Rebellion and the Battle of Bushy Run, an engraved powder horn depicting the Siege of Pittsburgh, the sword and pistol of Highland officer James Grant, and never before seen documents. 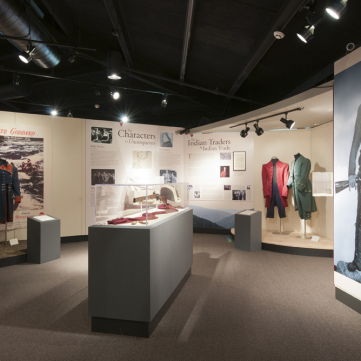 For just over two months in the summer of 1763, Fort Pitt and Pittsburgh were attacked by American Indians participating in a broader movement known as Pontiac’s Rebellion. 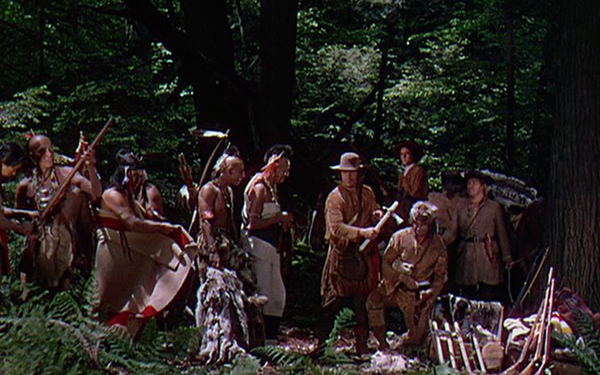 Angered by restrictive British policies following the French & Indian War and the increasing number of settlers crossing the Allegheny Mountains, a widespread American Indian uprising began in the late spring of 1763 throughout the Great Lakes Region. Taking its name from the warrior leading the siege at Detroit, Pontiac’s Rebellion was successful in capturing all but a few of the British forts in the area. Fort Pitt survived the siege following a decisive victory by Col. Henry Bouquet at the Battle of Bushy Run in early August. 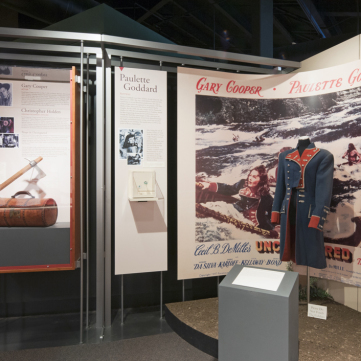 “Unconquered” features an ensemble cast of legendary actors and actresses at the peak of their careers during Hollywood’s “Golden Age,” including Gary Cooper, Paulette Goddard, Boris Karloff, Lloyd Bridges, and Howard Da Silva. The movie premiered at the Loew’s Penn Theatre (today’s Heinz Hall) and featured all of the accompanying Hollywood fanfare, including one of the largest parades in Pittsburgh history, complete with covered wagons, Seneca Indians, Pa. 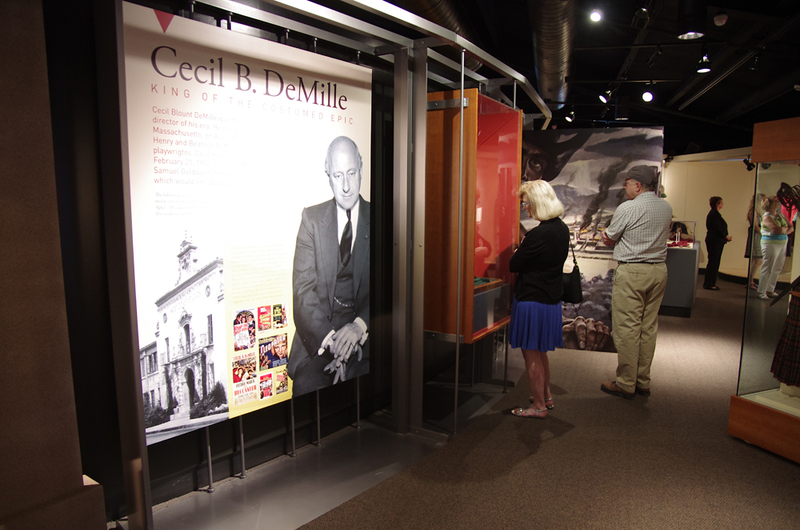 Governor James Duff, Mayor David Lawrence, and Cecil B. DeMille. 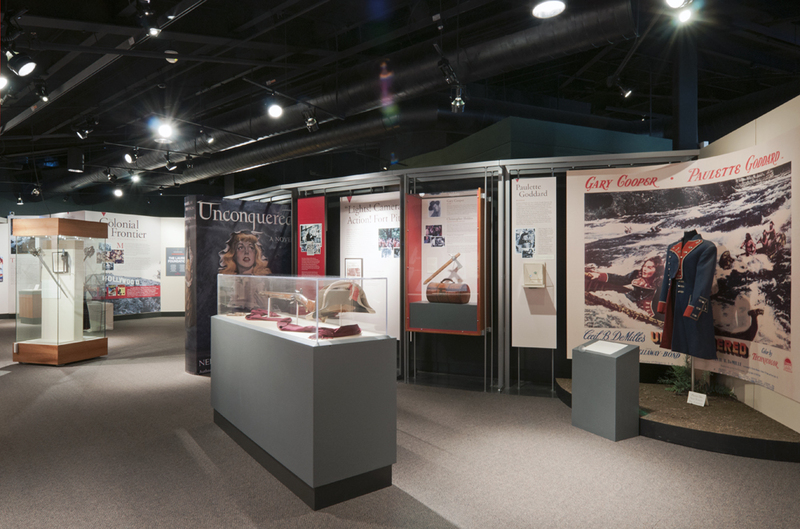 The Unconquered exhibit commemorated the 250th anniversary of Pontiac’s Rebellion. 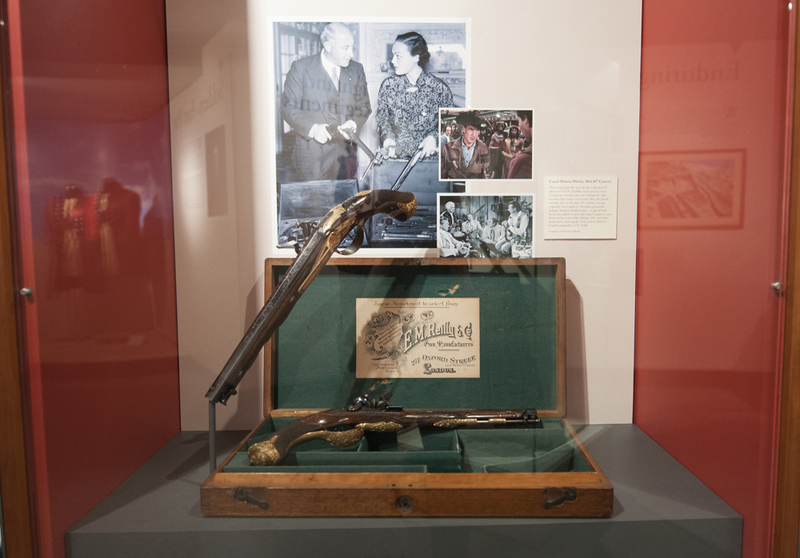 The exhibit featured two 18th century German pistols used by actor Gary Cooper. 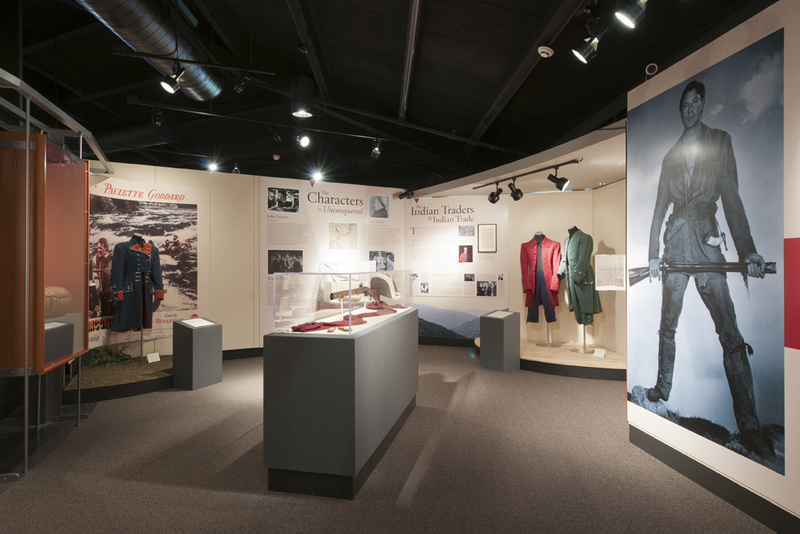 The historical events during the “Siege of Pittsburgh” were compared and contrasted with its Hollywood depiction. 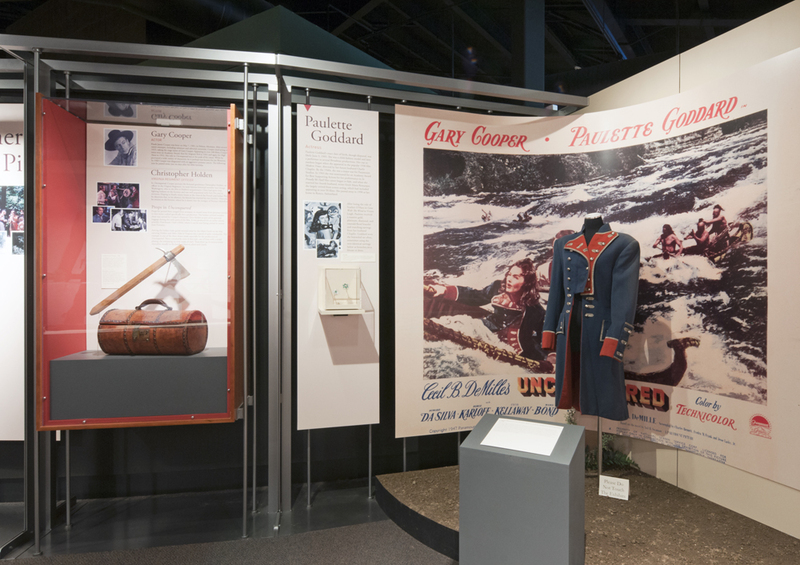 Costumes worn by actors Alan Napier and Howard Da Silva were featured inside the exhibit. 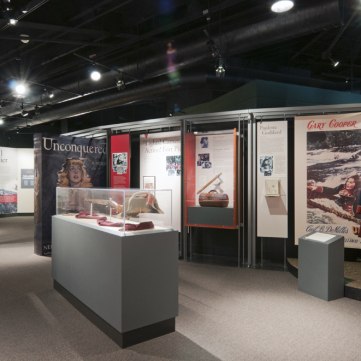 Original movie props, photographs, and costumes from the Golden Age of Hollywood helped to bring the Unconquered movie to life.